Built 1904-1906 by E. C. Choinier. Opened Feb 1906. Converted to a cinema in the 1940s. Closed June 1953. Subsequently demolished. 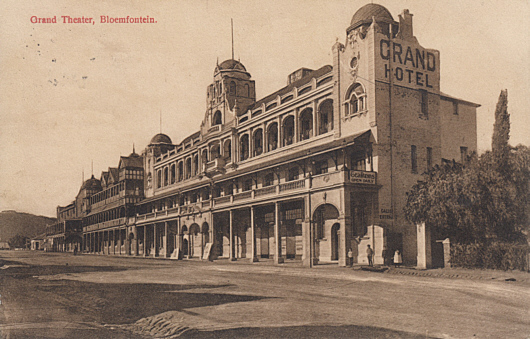 Front Text: "Grand Theater, Bloemfontein", text on building: "Grand Hotel"